As part of the Metagenomics training, the eLearning course and the workshop reached a significant number of 187 participants from 34 countries all around the world. These numbers show not only the general interest on metagenomics and the trust in the EFFORT partners to grasp this knowledge but also the high impact of the EFFORT Project in six continents (see picture 1). The workshop was held on 19-20 March 2018, in Tallinn (Estonia). 41 participants from 14 countries got hand-on experience and were involved in challenging discussions on Metagenomics led by the EFFORT experts (picture 2). To read more about the workshop in Tallinn, do not miss the Newsletter 9 issue! 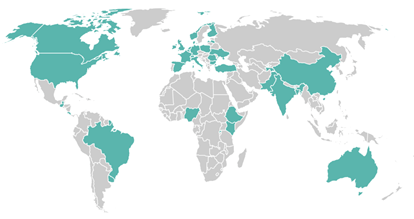 Picture 1: Map with the geographic location of the 34 countries. Picture 2: Some of the Workshop speakers, partners from the EFFORT Project. From left to right: Sofia Duarte (DTU), Roosmarijn Luiken (UU), Steven Sarrazin (UGent), Patrick Munk (DTU) and Alex Bossers (WUR). For those interested in following the online course, please note that it will be on Coursera programme from 2nd May 2018.